Good tension and abrasion resistance. Excellent performance in jammers and winches. Easy to splice and strip due to its polyurethane coating. 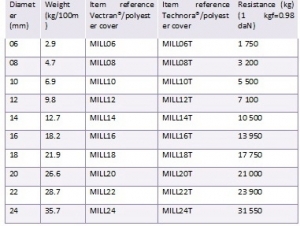 Black Technora® and Vectran® are privileged for halyards and yellow Technora® for sheets. Thanks to the 24-plait cover in polyester, this braid has an excellent resistance to abrasion. 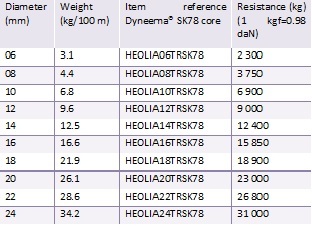 Good tensile strength thanks to its Dyneema® core. Easy to splice and recommended for sheets and halyards. For runners with splices on crossed thimbles, a Dyneema® sK90 core is advised. 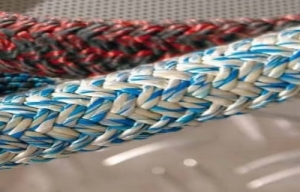 The combination of two fibres in the core makes this hybrid rope a product of high performance with extremely low creep. It also confers a good tension and abrasion resistance and ensures a good performance in jammers. 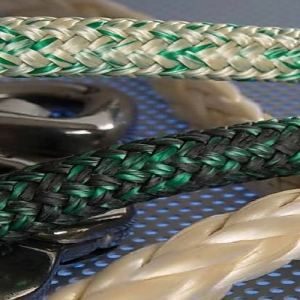 This easily spliced rope is recommended in Vectran® version for halyards, and in Technora® for spinnaker guys. 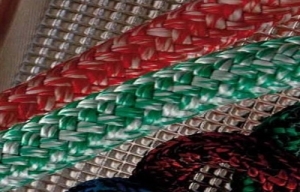 HEOLIA® braid was conceived for an intensive and continuous use. 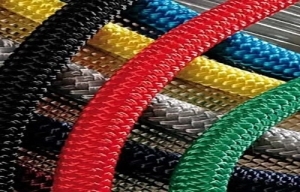 Thanks to its cover made from mixed fibres, this rope has a very high resistance to abrasion and a good holding on winches. 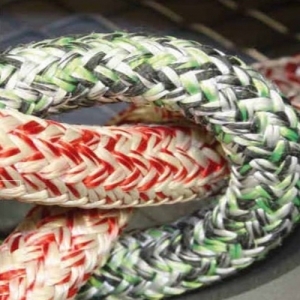 It is easy to splice and its double-braid structure allows it to be occasionally striped. This lifeline with Dyneema® offers maximum strength at minimum weight. Stronger than quality steel and so light, it floats on water. 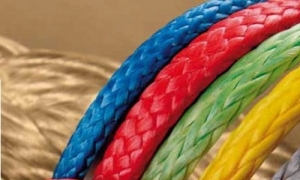 Extremely durable, this rope resists to moisture, UV light and chemicals. The retro-reflective markers make this lifeline very visible at night so people on board can easily see their safety zone, resulting in less accidents. 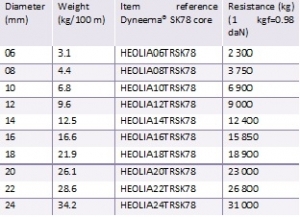 Dyneema® is 15 times stronger than steel on a weight- for-weight basis. 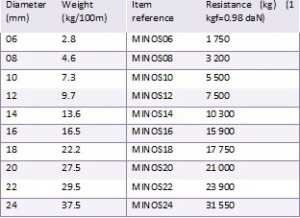 These lifelines provide a significant benefit compared to conventional heavy weight steel wire lifelines. and rot-proof. The polyurethane coating ensures better resistance to abrasion. The tightened braid gives a little more extension. It’s recommended for Kite surfing. The standard rope is ideal for lashing and racing version for backstays.